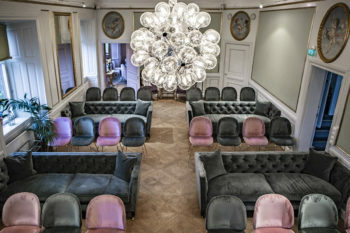 All our eight conference rooms (and three salons for more casual meetings) is like our hotel – unique and comfortable with a whole lot of personality and charm. We have room for both large and small parties. Which of our rooms suits you and your business? 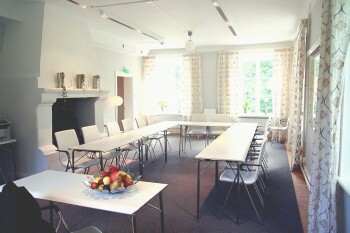 Our largest conference room that fits very well for training courses, seminars and parties. Takes up to 60 people. Lovely bright room with beautiful views of the castle park and our ski slope . Perfect for the smaller meeting of 8-10 people. Conveniently located on the castle's main floor. 14 comfortable, upholstered chairs for up to 14 persons. Can also be used for secluded dining. Perfect for the small, secluded meeting. The venue is located about 200 meters from the castle. Lovely leather chairs and conference tables. Our second largest meeting room overlooking the castle's herb garden. Room for 20 in meeting and 40 in theater style. 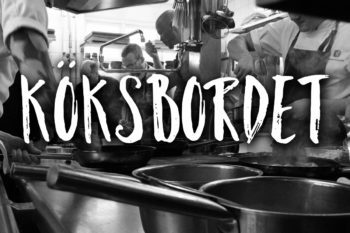 Located adjacent to our second largest meeting room, Erik Oxenstierna. Perfect as a smaller meeting room for 8-10 people. 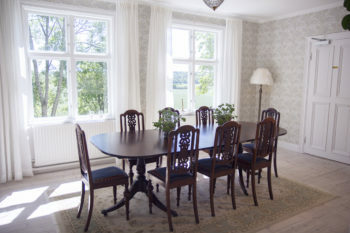 Located in its own building about 200 meters from the castle at Mälarviken. Perfect for a more private meeting. Accommodating up to 40 people theater style. Villa Bleckhornet is perfect for those who want a relaxed and secluded meeting. 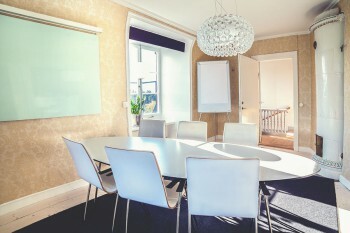 Perfect as a smaller meeting room for 8 people.